A couple of weeks ago we did shared a paper straw birthday candle diy with you! We had so much fun with it, we thought we would put a patriotic, 4th of July twist on it. 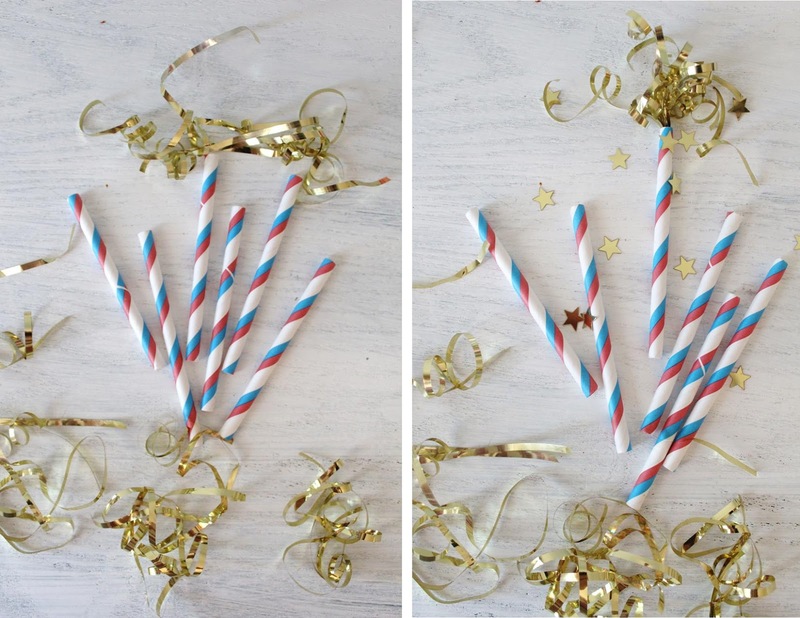 So we decided to use red, white and blue straws this time and make them into sparklers! With a few metallic strands, the straws were 4th of July ready! 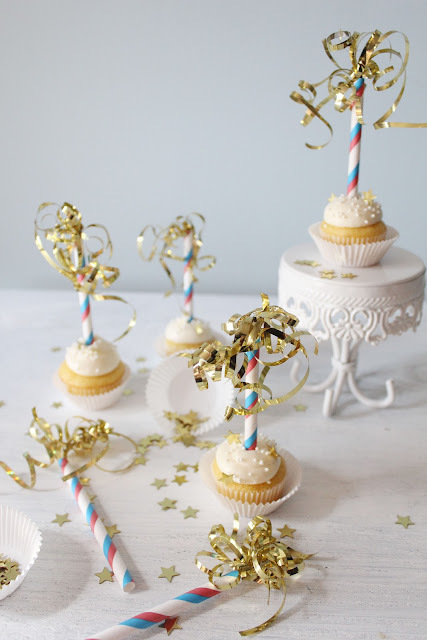 These would be really festive to top your cupcakes with if you are attending a party to watch the fireworks with your friends! 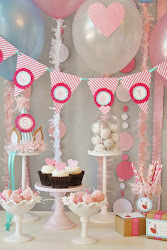 It would also be so much fun to top a cake with a bunch of these! 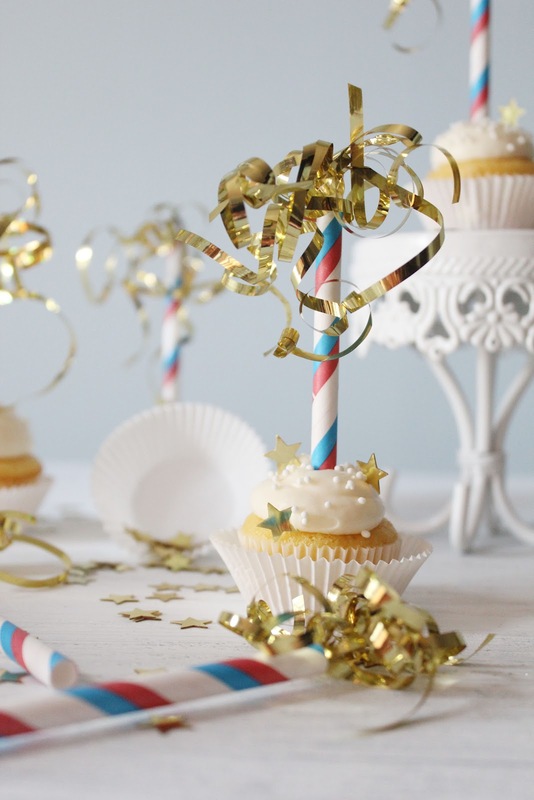 These sparklers are so simple you can literally whip them up in no time! Simply cut your straws in half. Take about 4-5 strands of your metallic strands, hold them in the middle and curl the ends with your scissors as you would curling ribbon. Take the center of the curled strands, twist and stick into the end of your straw. If you desire, you could add a dab of glue in the straw to secure before you put the strands in, but it really is not necessary. 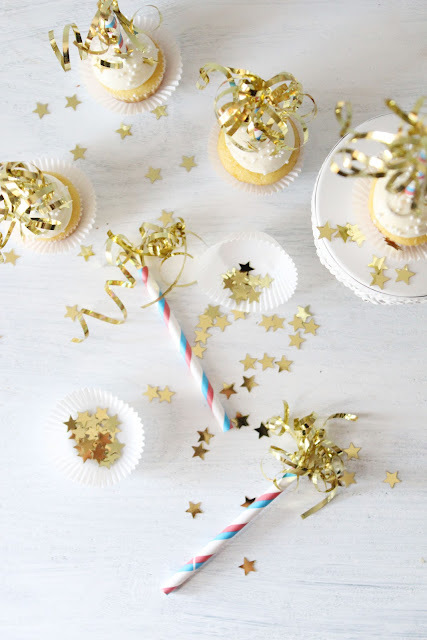 You could also take the gold star confetti and glue a few to the ends of your curled metallic strands, to make them a little more festive! 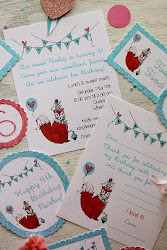 See...how easy is that!? !